Social media has changed the face of the beauty industry and it’s not just a superficial makeover that will be forgotten by next year’s catwalks. By Hari Blanch Bennett and Ophelia Stimpson, Kantar Added Value. The rise of user generated content and popularity of platforms such as Instagram, Facebook and Snapchat have transformed the way people talk about beauty and their attitudes towards it. People post 350 million photos on Facebook and 80 million images on Instagram every day. If a picture is worth a thousand words… well, that’s a lot of words. 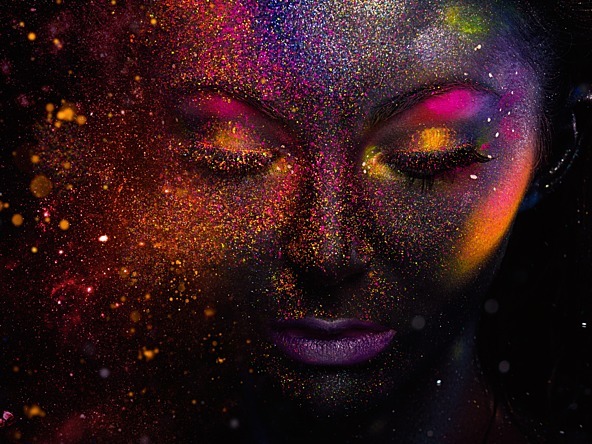 Kantar Added Value and visual marketing platform Olapic teamed up to analyse the five key ways in which social media has impacted on the beauty industry. Thanks to influencers such as Ugly Worldwide and Danny Defreitas, and brand campaigns like ASOS Face & Body, as well as the explosion of interest in funky face masks, creative expression in beauty is becoming more about having fun and making the most of your unique look – quirks and all – instead of showing off your artistic makeup skills. In the world of social media, it’s flair and fun that grabs people’s attention, not perfection. Disrupter brands and influencers are tackling some of these issues head on. Makeup brand Glossier makeup and influencers such Callie Thorpe and Tess Holliday have radically challenged traditional beauty standards, while FentyBeauty and Freddie Harrel’s Big Hair No Care represent a step change in the way women of colour are catered for and represented. While the masses of post-workout snaps on Instagram might make you think otherwise, the way we treat our bodies is moving from a mantra of ‘push yourself’ to stressing the importance of ‘knowing yourself’, and we’re beginning to see social media evidence of this shift. Beauty and holistic well-being aren’t just about products and workouts, but about actively planning rest and downtime. At the same time, we have seen a cultural shift in men using social media to express their needs and emotions more openly (see Professor Green and Freddie Flintoff’s views on male mental health). As a result, the beauty industry’s take on masculinity will be much more multi-faceted in the future.